Leave them spellbound with this hauntingly original Boo! To you Gift Box! 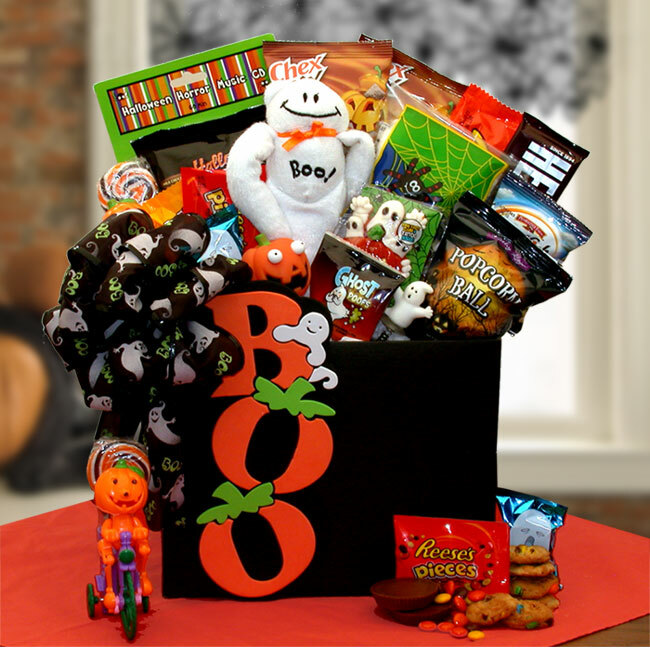 A lively gathering of delicious treats are set in a playful Boo gift box From the spooky grin on Boo's face right down to Biker Pals tasty pop, they'll scare up smiles for party guests and trick-or-treaters alike. Gift is topped with a festive Halloween bow.